IKEA has been teasing audiophiles for a long time with Sonos' famous Symfonisk loudspeakers, but the time seems to have come to lift the curtain on the result of this collaboration. After celebrating its Red Dot Design awards, the Swedish giant unveiled the final version of the speaker. Despite the revelation, the official Symfonisk presentation event is scheduled for April 9th, a little earlier than expected. 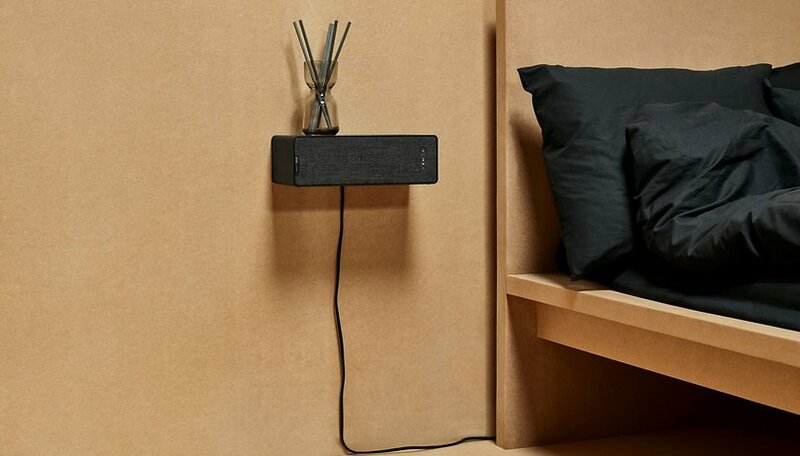 The final design of the speaker born from the collaboration between Sonos and IKEA seems very similar to the original prototype of last year, that is a shelf with an integrated loudspeaker that can be mounted in different ways. It is not clear whether this Symfonisk design will be the only one to be revealed, but it is likely that the two partners have developed different options. Moreover, it is not yet clear how much they will cost, although IKEA recently revealed that the new speakers will be sold "at an affordable price", but this remains to be seen. On the other hand, the cheapest Sonos speaker, the Play: 1, costs $149.00, so it is likely that Symfonisk will be able to wander around in this range. These and other questions will be answered on 9 April.